On Wednesday, Cylance announced that it just raised a whopping $100 million in Series D funding. It will use the new infusion to expand its sales, marketing, and engineering programs. Dubbed CylanceProtect, the company's flagship product promises A.I.-based endpoint security while using a fraction of the system resources required by the approaches used in most enterprises today. Enabling that are technologies including machine learning. 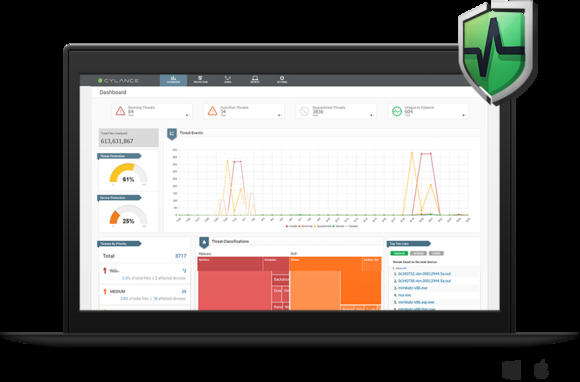 Whereas current techniques such as signature, heuristics and behavior monitoring take a reactionary approach to threats and require an Internet connection, Cylance uses A.I. to proactively analyze a file’s characteristics and predict before it executes on the local host, whether it is safe or a threat.